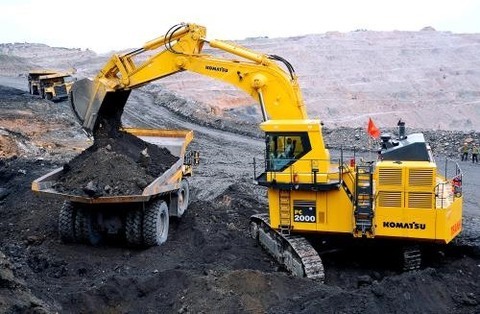 The Viet Nam National Coal – Mineral Industries Holding Corporation Limited (Vinacomin) had been working to meet the increasing demand for coal for electricity generation and production, Vinacomin’s general director Dang Thanh Hai said. Vinacomin targeted to reach an output of 4.1 million tonnes of coal in March. Production would be enhanced at open-cast coal mines such as Cao Son, Deo Nai, Coc Sau and Tay Nam Da Mai. In the first two months of this year, coal production reached 6.66 million tonnes, one million more than the same period last year. Increasing coal production to meet the demand of the economy, especially for electricity generation, was Vinacomin’s priority, Hai said. Vinacomin has set a target of reaching 40 million tonnes in 2019 while consumption demand is forecast at 42 million tonnes. As much as 31.9 million tonnes will be supplied for electricity generation. The group plans to import four million tonnes to meet the demand. Vinacomin’s coal production output was 36.95 million tonnes last year with sales of 40.5 million tonnes. Deputy Prime Minister Trinh Dinh Dung early this year asked Vinacomin to ensure adequate coal supplies for production as well as focus on environmental protection. Production technology must be renovated to improve productivity, quality, resource use efficiency and labour safety, he said.